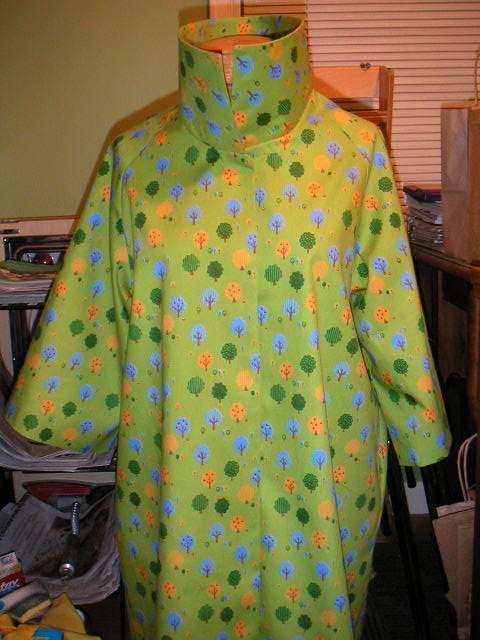 I stayed up late last night to sew the lining into the coat. I used the kissing the sleeve technique again and it worked without a hitch. I love the collar on this coat. It looks great standing up (adding the buttons will make it look really nice) or laying flat. All I've got left to do is sew the buttonholes and then sew on the buttons. In knitting news, I managed to cast on for both sleeves the other night and am still working on finishing the ribbing. I worked on them some more at lunchtime today, so I hope to get them finished some time this weekend!